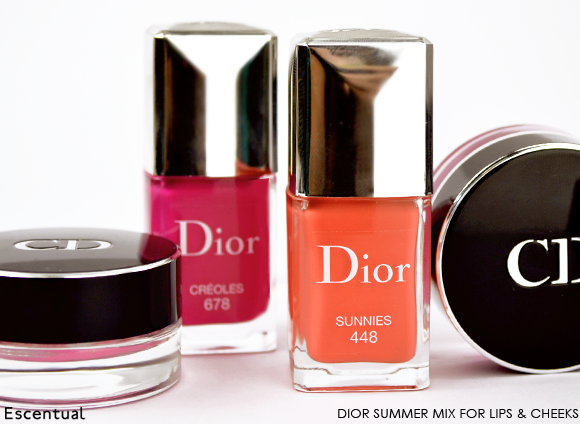 Following on from the bright primary colours of last year’s Summer Mix collection, Dior’s Summer Pop mid-summer beauty update draws its inspiration from missmatched bikinis and casual summer glamour. 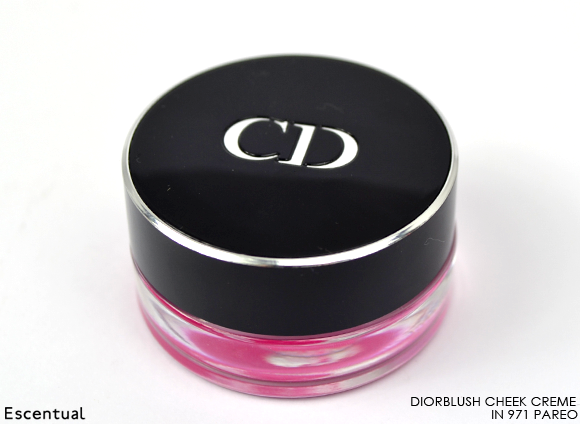 The capsule collection includes four brand new Dior Vernis nail shades and a brilliant, brand new product, the DiorBlush Cheek Creme. Combining the comfort of a cream blush with the longevity and colour pay-off of a powder, the gorgeously-textured DiorBlush Cheek Creme creates a seamless flash of colour. Packaged in a weighty glass pot with a monogrammed screw lid, it’s a gorgeous little treat for the cheeks. The texture of the creme is actually quite hard to describe. They have an unusual cream/mousse texture which feels quite bouncy to the touch, but sweep your finger across its surface and it feels like jelly, and when worn it has the finish of a powder. There’re so many textures in there, you won’t be able to stop touching it! 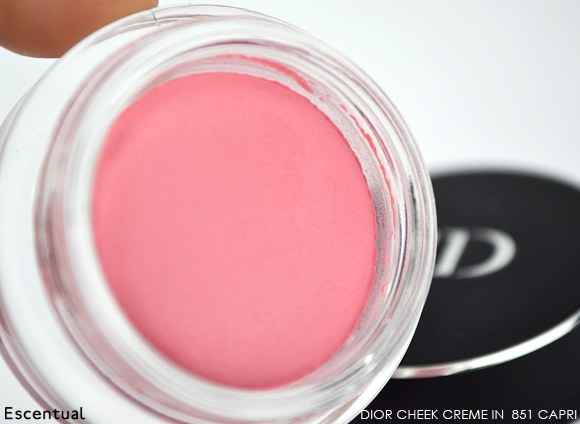 If you’ve tried a cream formula in the past and have found it to be too greasy or too chalky, then you’ll love the DiorBlush Cheek Creme. It’s satiny soft and applies like a dream. Though there are just four shades to choose from each one is very distinct. If you’ve got a penchant for a certain tone you’ll most likely find it represented in this little collection (unless you’ve got a soft spot for browns or peaches!) 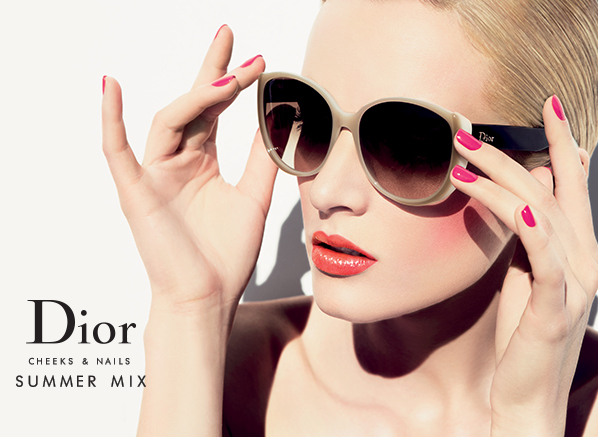 Each shade is shot through with a microfine shimmer that stops the colour from appearing flat. However this shimmer is almost imperceptible on the skin, revealing itself as more of a subtle illumination than overt glitter. And it turns out, pretty well! Capri was the lesser pigmented of the two, which gives you a little more wiggle room for layering, blending and getting your colour just right. It gives a sheer wash of delicate, cool pink; the sort of pink that looks entirely natural and healthy. I paired mine with a slick of black liner and the Dior Addict Extreme Lipstick in 356 Cherie Bow for a pretty low maintenance daytime look. Whereas Capri is all about subtlety and sweetness, Pareo is bright, bold and pigmented. I’ve never actually tried to wear a fuchsia shade on my cheeks before, but I quickly warmed to the idea once I saw just how workable the formula was. 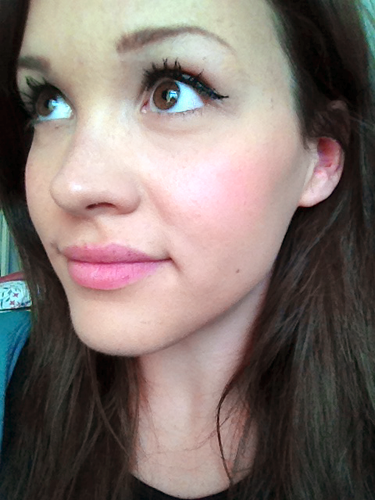 I dotted a small amount on my cheeks and blended with the Dior Powder Foundation Brush Full Coverage. As the bristles is so densely packed in this brush I only needed a light touch – you can just as easily use a stippling brush for the same effect. 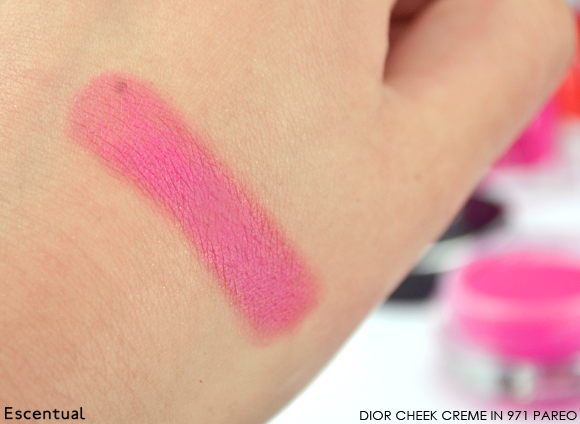 The result was a glowing pink that lifted my complexion and looked gorgeous when paired with a Dior Addict Extreme 476 Plaza lip. The other two shades in the collection are 651 Panama, an intense orange coral red with incredible colour pay-off which is great for warmer skin tones and 871 Bikini, a blushing warm watermelon pink that will suit most skin tones. 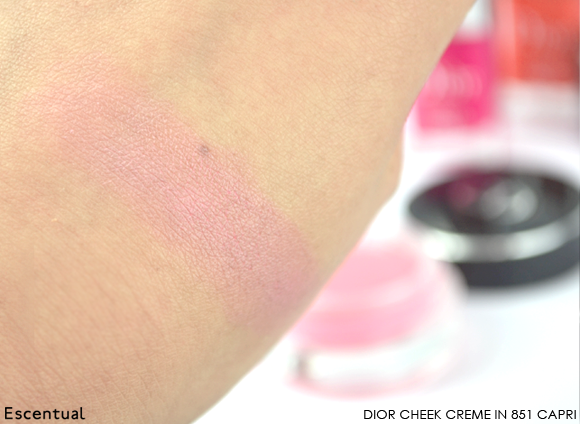 To subtly mix and clash with the new Cheek Cremes, Dior have produced four new shades of Dior Vernis. The creme finish of the lacquers echoes the smoothness of the cheek colours, while the pigment intensity and vibrancy is perfect for the height of summer. 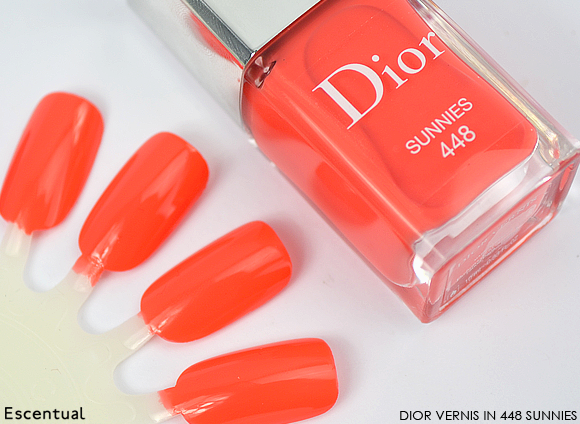 As with all Dior Vernis lacquers, the colour is applied easily thanks to the wide signature brush, and the luxurious formula levels itself out for a seamless finish. 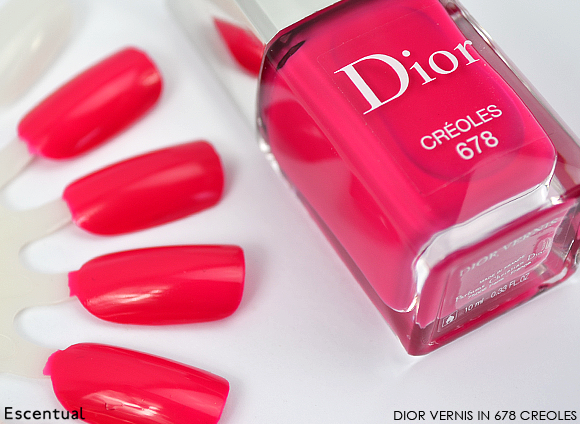 Follow up with a coat of the Dior Gel Coat for ultra gloss (be quick though, the glossy gel-effect top coat is limited edition, too!). I was given two shades to trial alongside the two cheek colours, 448 Sunnies, a really pretty apricot shade, and 678 Creoles, a hot, vivid pink. The other two shades in the collection are 658 Pasteque, a sorbet-like watermelon pink and 858 Tie & Dye, bright red with a touch of coral. Final word: I’m really loving this collection. The Cheek Cremes are a must have for a low maintenance but high-impact look, and that’s just the thing you want on long summer days. 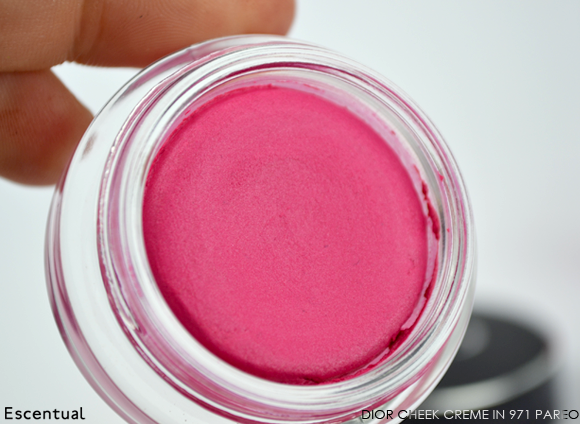 The formula is long-wearing, pigmented and so easy to work with. I just with they were a permanent addition to the Dior line! This entry was posted on Friday, July 5th, 2013 at 11:20 am and is filed under Make-up, New products, Spotlight On, Swatches, Trends, Tried & Tested. You can follow any responses to this entry through the RSS 2.0 feed. You can skip to the end and leave a response. Pinging is currently not allowed.